Microdermabrasion Is a non-invasive treatment that reveals newer, healthier and younger skin. 1 treatment Now $75 Reg. $130. Microdermabrasion + Deep cleansing facial. 1 treatment Now $125 Reg. $135. 1 treatment Now $90 Reg. $150. the complexion leaving it radiant and luminous. 1 treatment Now $80 Reg. $135. 1 treatment Now $120 Reg. $200. 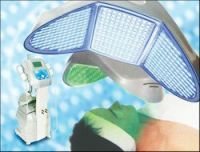 A professional treatment, allying technology with an exclusive modelling technique for a proven and long lasting efficiency**. 1 treatment Now $100 Reg. $140. Visit us and pamper yourself like a Queen in our kingdom.